Mechan has received national industry recognition for its work on the high-profile InterCity Express Programme (IEP). 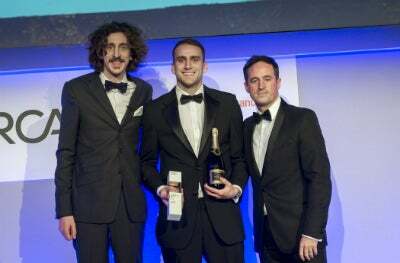 The manufacturer scooped one of this year’s 23 UK Rail Industry Awards and was named ‘subcontractor of the year: small’ at the ceremony held at Battersea Evolution in London. Attracting entrants from across the country, the accolades celebrate innovation and outstanding contributions to the future of the rail industry. Mechan was recognised for its delivery of advanced lifting and handling products to four sites integral to the IEP, including two bespoke traversers for Hitachi Rail’s Newton Aycliffe manufacturing facility in County Durham. Sales engineer, Adam Elliot, attended the awards ceremony to collect Mechan’s trophy. He said: "More than 1,000 members of the rail sector gathered in London for this landmark event, which is overseen by an experienced panel of cross-sector judges who put winners through a tough selection process. We believe Mechan stood out thanks our ability to meet the demands of a national project like the IEP, the breadth and depth of our expertise and the quality of our products."